Hey, it's my birthday on the 11th and in addition to my usual big annual donation to the SPCA, I thought it would be fun to do a little more gift giving. First off – I'm taking on new Facebook friends and Facebook page Likes in exchange for dollars. For every ten new friends on my Facebook profile or likes on my Facebook Page, I'll give a dollar to the most popular charity chosen by commenters on this post… up to $1000. And just so you can keep count of how much we rack up, we're starting with 2,984 friends and 1,215 Likes. Secondly, knowing that Christmas is a tough and expensive season for many of you (I'm in the States at the moment and seeing way too much Wall Street induced low- to middle-class hardship) that I've decided to keep Affiliate Blogger PRO (Affiliate Blogger PRO) pricing at the current ridiculously cheap levels until early to mid-January. 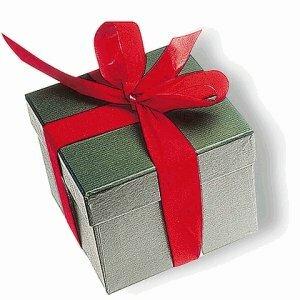 Give yourself that gift and see if the Christmas 2012 season doesn't look a LOT brighter and more merry for you! P.S. Don't forget to list your favorite charity!! BTW, my personal favorites are SPCA, Red Cross and Amnesty International. Hey Ros, Happy birthday to you. And Red Cross and Amnesty International are excellent charities imho. Thank you. Manny more birthdays to come and have a happy holiday. I’m an animal lover. Many more birthdays to come and have a merry Christmas. your great. Have already got someone who is happy you are on my blog, actually 2 people. I hope you don’t mind, but I have nominated you for my 7 link blog challenge. However, there is absolutely no obligation. ha ha …this is outrageous ! she is gathering more people to market to in the guise of charity ! she will easily make more than a thousand dollars from new people,don;t fall for it. and i have still not seen any earnings by people who have used her products ! show me the money ! What’s outrageous is your comment. If you looked at the positive side, $1000 to charity is $1000 that charity would not otherwise have received. IF I gain a few customers, that means even MORE money to charity, because the more I make, the more I give. As to seeing earnings from my students. More Internet multi-millionaires have probably read my book than any other. All the best of the season to you and best wishes for a less cynical, happier new year. I think that comment is so out of line. Have you read any of her products? I doubt it quite frankly. If you haven’t, you should keep your comments to yourself. You are not doing yourself any favours with comments like that. Please feel free to ask me to change anything you are not happy with. Happy birthday Ros. I will be double dipping shortly. Hope all goes well for you for the holidays. I have two Newfoundland puppies, that almost out weigh me. I vote for SPCA and PETA. Thanks for you valued info on a timely basis. Rosalind, What a great to add promotion with giving. If I’m not already following you I’ll do so now. Rosalind, happy birthday to you! May you have many more blessings! Gotta check out your FB page! ‘Liked’ your Facebook page, and also sent you a friend invite. Hope you’ll accept. I’m really happy to see that one of your favorite charities is SPCA. I too really love and feel for animals. If I’m to select one more, then I’d say PETA. Cheers, and wish you a very happy birthday in advance! Thanks for your Like and friendship AND your vote for PETA… that is indeed a good one! Happy Birthday! My oldest daughter’s birthday is Dec. 11th also. I double dipped : ) As a huge animal lover I say SPCA as a favorite charity. Thank you Valisa! and a Happy birthday to your daughter! I am so glad I found your website. I hate scammers and spammers with a vengeance and am all for honesty, integrity and ethical matketing. Have not been online much lately due to family health issues, but came across you via a post from Gary Simpson at IBCX. Although I am way behind at the moment and have lots of catching up to do, just had to check you out! I think I may well do a post on you tomorrow or today as it is 2.15 am in the UK.